Throughout history and around the globe, religious people who seem to be of sound mind have reported incredible encounters with non-human sentient beings, both visible and invisible. The “religious experiencer” and the scientist have different ways of evaluating what has occurred and what can be known from these experiences. The sense of encounter or union with cosmically important persons such as God, angels, demons, goddesses, idols, ancestors, or communicating trees commonly constitutes evidence for the reality or intentionality of such beings for religious people. However, as scientists, psychologists tend to limit themselves to an objective, materialistic, mechanistic worldview so that what they can know must be observable and measurable. Consequently, scientists could and do investigate the emotions, values, and personality changes attendant to religious encounters, but subjective experiences remain unconvincing as evidence of the existence, sentience, or intentionality of non-human beings. Thus, religious experiences are often characterized by psychologists as irrational or overly emotional and, sometimes, as pathological (Freud, 1927/1961). In a paradigm that cannot consider the objective existence of metaphysical beings or the intentionality of non-human beings or objects, it is difficult to richly and non-reductively understand the experiences of the bhakti saint, Pentecostal revivalist, or animist. In this paper, we consider psychological, philosophical, and anthropological approaches to put forward an explanatory framework that respects the cosmological commitments of both scientists and religious participants. We propose that the scientific (objective vs. subjective) interpretive paradigm and the religious worldview can be bridged by studying religious experience as an interpersonal, relational phenomenon: that is, how religious experience is framed in terms of social or interpersonal relationships and how it both shapes and reflects the individual’s cultural and intrapsychic world. Although religious experience can be primarily about beliefs or feelings, religiosity is more commonly concerned with reciprocal, social relationships between humans and between humans and other-than-human, cosmically important persons. We suggest that viewing religion as relationality more accurately describes the self-reported experiences of theists as well as the cosmologies of indigenous peoples. In the final section of the paper, we propose potential lines of inquiry for mental health practitioners, psychologists, anthropologists, philosophers, and theologians, set within the theoretical framework of religiosity as relationality. Ninian Smart (2000) has identified two general types of religious experience, the mystical and the numinous. Mystical experiences, according to Smart, are serene and meditative, directed inwardly, and accompanied by an altered sense of self. The mystic experiences a purifying of the consciousness so that all self-identity and thoughts of the world are abandoned and the Self is lost in unity with the Divine Being, Ultimate Reality, the One, or the real essence of the cosmos. According to Smart, the prototype of this kind of religious experience is Zen, or forms of Buddhism, Hinduism, or Christianity. The numinous experience, on the other hand, is focused on the external Other. Borrowing the term numinous from Rudolph Otto (1869-1937), Smart characterizes this kind of religious experience as an encounter with an entirely separate Other in which powerful feelings of awe or fear are invoked. This kind of experience is most similar to that of Arjuna meeting Krishna in the Bhagavad Gîtâ, or the experiences of the Apostle Paul, Isaiah, or Muhamad. Numinous experiences can also be much less dramatic, but they are always associated with a sense of community or interaction with an other in an interpersonal or intersubjective relationship. It is this intersubjective sense of communing with the other that is the subject of this paper and, we will argue, an important kind of knowing in the world. In The Varieties of Religious Experience, William James (1902/2002) describes a multitude of religious experiences of theists who profess to have encountered the divine. From Saint Teresa of Avila, whose heart was pierced with the lance of an angel, to the devoted Shiite dervish who would utter no other word than “Ali,” to the anonymous convert who reports sensing the presence of God in nature, James details the religious experiences of both famous and ordinary folk, from many different religious traditions. Religious experiences, in which an individual or group of individuals claims to have had a direct encounter with the divine or other kinds of cosmically-important, non-human beings, make for incredible and interesting stories. However, such experiences are strong tests of the explanatory and interpretive abilities of both scientists and religious adherents. William James contended that religious experiences are in some sense genuine because the experiencer encodes a memory, whether endogenously or empirically perceived, of an encounter with an “other.” James argued, however, that regardless of how vivid, meaningful, or convincing an encounter may have been for the experiencer, others need not view the experience as either authoritative or even “real.” In other words, scientists should (and do) recognize the subjective nature of religious experience, but they cannot and are not willing to grant that such experiences are objectively valid. While granting that religious experience is in some sense genuine (excluding cases of trickery), some scientists may still contend that ecstatic states, visitation by angels, or animistic communications with rocks and trees may be symptomatic of a neuropathology. James, however, cites the altruistic life and eloquent writings of St. Teresa and others, and argues that such experiences can have a positive effect in one’s life. In fact, we note that many religious experiencers report increased life satisfaction, more altruistic behaviors and increased well-being following those experiences (Hill, 1999). Moreover, judgments of “normal” cognitive functioning vary cross-culturally. Thus, what might otherwise be thought of as pathological from a reductionist or materialist perspective can actually produce culturally endorsed behaviors, positive personal attributes, and increased well-being in the experiencer’s life. Moreover, James asserts that mystical states and religious experiences are often characterized by a noetic quality in the sense that they produce profound memories, impart new knowledge, or add significance to previous knowledge. What is striking is the extent to which such experiences add meaning to life’s empirical data and offer new ontological hypotheses, particularly new ways of knowing and thinking about the cosmos. For James, mystical and religious encounters constitute another class of experience that we might interpret as another way of knowing. James writes, “[Mystical states and religious experiences] break down the authority of the non-mystical or rationalistic consciousness, based upon the understanding and the senses alone. They show it to be only one kind of consciousness. They open out the possibility of other orders of truth, in which, so far as anything in us vitally responds to them, we may freely continue to have faith” (2002: 41). All that we can say (in Jamesian terms), however, is that religious experience is a subjective phenomenon and the knowledge derived from such experiences is personal, idiosyncratic, and subjective. We grant that the experiencer “knows” what has been experienced; but, as James asks, “Is the sense of the divine presence a sense of anything objectively true?” (43). Accepting religious experience as a wholly subjective perception resists empirical verification and violates the underlying scientific assumption of an entirely material cosmos. Consequently, the knowledge acquired or worldview constructed through such experiences is marginalized. The logical positivism of objective science is at odds with the personal subjective knowledge of religious folk. Philosopher William Alston (1991) has addressed these concerns with his “theory of appearing.” Alston admits his theory is not applicable to all manner of religious experience but, instead, seeks to explain experiences in which the divine supposedly presents himself (or herself) to the experiencer in the way St. Teresa encountered Jesus, for example. Alston argues that perception is not necessarily limited to the five empirical senses. He explicitly states that his argument is not a proof of the existence of God and he does not intend to say that religious experience “constitutes genuine perception of God” (48). However, Alston does emphatically claim that if God exists, and if God interacts with humans, it is entirely plausible that he could and does appear to religious experiencers. Alston goes on to argue that such sensations and perceptions are difficult to explain verbally, and are often labeled “ineffable,” but experiencers resort to the best comparative explanations available. Those comparative explanations are no different from ones we use to describe the smell of popcorn, physical pain, musical pitch, or beauty. Establishing the veracity of those kinds of sensory-derived claims should be no different from verifying perception of the divine. Alston argues that if God exists, perception of God constitutes a real (social/interpersonal) interaction (53). The conclusion, for Alston, is that religious experience should not be construed as entirely subjective (as James has done) unless we can demonstrate that God does not exist. In Alston’s view, the subjective religious experience ought to be granted a certain degree of objective validity unless the observer can provide sufficient evidence to the contrary. Alston’s theory begs the question, however, what sort of causal contribution does God make to this “felt” perception? He suggests that we are looking in the empirical/sensory domain for the causal contribution, but perhaps God is perceived through some other sensory capacity, some other way of knowing. Alston’s argument resonates with the psychoanalyst who deals with whole realms of non-conscious, non-linear “thinking”, and “feeling.” However, for experimental psychologists, as scientists, the only beliefs warranted and worth holding are supported by empirical evidence, collected using scientific methodology. The belief that the earth is round, for example, is supported by all manner of scientific observations and deserves the rating of knowledge. Religious experiences cannot provide the kind of knowledge that meets today’s scientific criteria. Whether or not we accept Alston’s hypothesis of other sensory capacities and other ways of knowing, Alston leaves numinous experiences outside the purview of psychological science, whose philosophy and corresponding methodology is to identify measurable, predictable, empirical causes of events. How would we develop other kinds of tools or new methodologies for verifying the God-and-human interaction, for example? 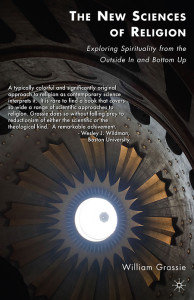 We are left wondering just how to apply “scientific thinking” to religious experience. The private, subjective knowledge of encounters with cosmic beings remains in conflict with the public, objective demands of science. Nancey Murphy (2007) attempts to bridge this epistemological distance by proposing that both scientific findings and religious claims are components of separate rational systems of thought and, as such, can be authenticated within those systems. She contends that the philosophy of science is shifting away from a foundational approach in which every hypothesis and theory is built upon an underlying set of “facts.” Instead, claims Murphy, scientific knowledge can be understood holistically – in the metaphor of a net, rather than a structure. In the center of the net is a core theory, knit together with surrounding theories validating the core, with the edges of the net representing auxiliary findings, or hypotheses, which can be corrected or discarded without disrupting the central thesis. 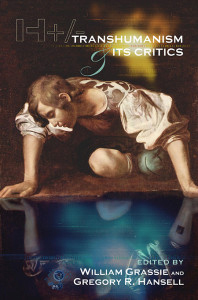 Murphy argues that the central thesis, or core concept, is “so central to the entire project that to give it up is to give up the entire programme. It makes a claim about the general character of the aspect of reality under investigation; in so doing it ties together all of the more specialized theories within the programme” (566). For Murphy, science and theology are not about human values or meaning; instead, both networks aim at the acquisition of knowledge of reality. Murphy argues that both science and religion have core theories, and neither science nor religion accept new theories, claims or experiments (or experiences) that are not interconnected to the other knowledge in the net. Murphy argues, much like James, that the claims of religious experience must be supported by the like experiences of other humans, the criteria for what constitutes knowledge within the individual’s religious community, and an increased nobility of life. Murphy claims that both the scientist and the theologian exercise a certain discernment and authority in fitting purported experiences into the net of knowledge in each domain. Ultimately, then, greater oversight on the part of the religious community is a guard against subjective self-delusion. Thus, given that the experiencer has passed the scrutiny of the religious community, coupled with respect for theology as a separate rationalistic system, scientists ought to believe and respect the claims of religious experiencers. However, we cannot overlook a history of disastrous attempts on the part of theologians to keep “errors” out of the so-called knowledge net. People are not infallible, in religion or science. Surely, some valid claims escape legitimation, and others are affirmed by the community that are simply false. Moreover, the psychologist is not required (and is seldom inclined) to regard scriptural authority, tradition, or religious politic as a veridical network of knowledge at all. Most importantly, as Ian Barbour (1998) has persuasively argued, conceptualizing religion and science in valid, but separated, networks of knowledge seems to bring us no closer to productive dialogue nor to the unity of knowledge. The difference between subjective, personal, religious knowing seems to be irreconcilable with objective, public, scientific knowledge. Philosopher and theologian Abraham Joshua Heschel (1951), instead, posits two aspects of one reality and, thus, two ways of knowing. He argues that we comprehend material reality with our reason, but we can only use our sense of awe or wonder to explore the other aspect of reality, the ineffable. Deity (and, some say, many other religious beings) are in the domain of the ineffable, which defies reason, measurement, or definition. According to Heschel, we seek to control events through our intellect and thereby avoid these mysteries of life. We construct order by applying opinions, dogmas, and words to describing events. In the end, what we lack is not information, but a will to appreciate, to wonder. According to Heschel, what we can know is more than what our logical reasoning or conscious perceptions can yield. To experience the ineffable, we must be unfettered by our preconceived notions, logic, and language. In actuality, the human response to poetry, music, and the ineffable is mediated by our soul, our sense of wonder, not our rational mind. Heschel writes, “The search of reason ends at the shore of the known; on the immense expanse beyond it only the sense of the ineffable can glide. It alone knows the route to that which is remote from experience and understanding. Neither of them is amphibious: reason cannot go beyond the shore, and the sense of the ineffable is out of place where we measure, where we weigh” (8). Heschel argues that wonder not only spawns our perceptions of power, loveliness, grandeur, or transcendence, but also actually unconsciously fuels our scientific programs. Wonder is the source of our creativity. Thus wonder is, in some sense, the root of both ways of knowing. According to Heschel, each scientific finding expands our knowledge but brings us no closer to understanding the totality of knowledge and the sense of transcendence, which cannot be interpreted with our logical faculties. Moreover, although scientists seek to explain how the world operates through reasoning about mechanistic causes and effects, scientific inquiry cannot elucidate the meaning or the purpose of life. Heschel’s argument that, as scientists, we ought to admit that intuitions ground our own research programs is persuasive. Moreover, taking a broader ontological view of reality would certainly permit a deeper understanding of religious encounters. Nevertheless, in Heschel’s two-fold cosmos, scientists cannot measure or empirically know anything about the ineffable. We can only be amazed, and that is not science. The religious experiencer and the scientist seem to be at an epistemological impasse. In the scientific study of religion, the dualism of the objectivity/subjectivity problem leaves both science and religion defined over and against the other. Religious encounter is relegated to the realm of subjective, irrational, emotional, private experience, in contrast with science as the arbitrator of objective reality. However, perhaps we have been attending to the least salient aspect of religious experience. Rather than imagining religion as merely a network of knowledge about the cosmos, we argue that for many religious people religiosity is a network of social relations with a variety of cosmically important, other-than-human beings whom people perceive, know, interact with, and to whom they attribute cause and effect. For many religious people, all over the world, religion is not about what you know, it is about whom you know. We suggest that relationality is another way of knowing and we propose that religious experience can be more fully understood as intersubjective. Philosopher Martin Buber (1958/2000) has identified two primary ways of knowing. One way is to objectify the world, which Buber calls the “I-It” way of knowing, and the other is relational, Buber’s “I-Thou.” Buber claims that the self is always constructed in relation to others. These “others” comprise every person, place, or thing, as well as every idea, both in our environment and in our imaginations. More importantly, these “others” can be conceptualized either as being things separate from the self, or as being persons who are “met” in intersubjective relationship. For Buber, objectivity and subjectivity are both evidence of an inanimate, non-relational, objectified cosmos, in which “I” is cognitively constructed as being apart from “He-She-It.” Buber claims that in Western societies nearly all “others,” whether human, natural, or supernatural, are objectifications. Tables, chairs, paintings, trees, pets, students, and even spouses, all become objectifications when conceptualized as being apart from our selves. On this view, even ideas about deity would be categorized as objectifications inasmuch as God is mentally represented as being afar off or merely the sum of certain attributes. However, subjectivity also resides in the domain of “I-It” inasmuch as the locus of subjective experience is still the separated, unrelated, internalized Self. Buber convincingly argues that the objective/subjective paradigm is oneway of knowing about and experiencing the cosmos. However, “I and Thou” relationality, in which we engage other persons in mutually influencing and responsible relationships, is the other way. Because of the abundance of objects in the modern world, however, people have become so practiced at objectification that they have become alienated from one another and compromised their ability to relate. We have mistaken personal emotion for interpersonal engagement. Furthermore, the objectification of the world has mistakenly led to the fatalistic assumption that we are at the mercy of an unchanging, deterministic, mechanical cosmos. Buber’s remedy is to recognize the Eternal Thou in the world and to rekindle our innate ability to relate. For many religious people, relating with the Eternal Thou affords the hope that some One is at the center of the events in our lives, able to be met, pleaded with, negotiated with, and persuaded to heal, avenge, provide for, bless or impart power. Ulric Neisser and others (Neisser, 1993; 1994) have demonstrated that self-perception is, in fact, imbedded in two perceptual fields, the ecological and the social. The ecological self is a sensory experiencer, “an active agent engaged with the surrounding world,” constantly learning and recalibrating his or her perceptions, movements, actions, and action potentials. Neisser identifies this sensory-motor self with Buber’s notion of “I-It” (although ideas and subjective reflection are additional aspects of the ecological self in Buber’s view). Humans not only learn how to navigate through the world, but also partially construct their identity, by sensing, perceiving, acting and knowing what is in the world. However, Neisser claims, the interpersonal self is equivalent to Buber’s “I-Thou.” It is this intersubjective (and not an isolated subjective) self that is concerned with values, conflict, intimacy, ethics, and power. For this interpersonal self, what counts is who is in the cosmos, as well as what must be done to maintain appropriate relations with all other beings and persons. Psychologists confirm that humans are intensely social beings (e.g., Baumeister, 1995), and we intuitively understand that life is made meaningful through touching, smiling, responding, speaking, and being with others in mutual interaction. We perceive ourselves as persons who receive the attention of others and we respond. We know when we are engaged with another through the give and take of social exchange. It is this interpersonal, socially driven self that is open to the possibility of communicating with both humans and non-human beings. So far, our discussion has been primarily focused on religious experience as a theistic encounter with a benevolent deity. However, in what is now becoming a classic essay in anthropology, A. Irving Hallowell (1975/1992) convincingly shows that human beings regularly interact with a variety of “persons” that are neither human nor divine. Using Native American Ojibwa ontology as an exemplar, Hallowell demonstrates that for indigenous people, nearly every thing in the cosmos is at least potentially a person. Hallowell explains that, although some persons are deemed to have anthropo-morphic traits, these are not required for personhood in indigenous thinking. The day luminary (the sun) or the Eastern Wind, for example, regularly interact with humans, and the Ojibwa do not expect at all that the sun will necessarily decide to rise in the morning. What scientists think of as “weather” is dependent upon the intentionality of each individual Wind. In another example, Hallowell relates that Ojibwa do not understand thunder and lightening as physical phenomenon. Instead, Thunder Birds appear during the rainy season and their voices can be heard in the thunderclap. Like humans, Thunder Birds hunt, talk, dance, marry, and have children. They most often interact with humans in dreams, but they have been seen, in bird form, in the community. On the other hand, human persons are also quite capable of taking on non-human physical attributes. While a person is dreaming, the vital part, the soul, can leave the physical body and travel about in space. The souls of both the living and the dead often assume the form of an animal. Thus, caution is necessary when approaching any animal. Ojibwa are careful to be on the lookout for “bearwalk,” humans who may roam about as bears with ill intentions. Even animals that are not human are considered to be persons and must be treated with respect. No Ojibwa would kill a bear, for example, without addressing it first with an apology. Powerful persons are also met in dreams and dream experiences are as important, and as “real,” as waking ones. The boundary between human and other-than-human persons is quite porous, as Hallowell describes it, and this ontology is common among indigenous people throughout the world. Before we write off these incredible notions of personhood as primitive, however, we might consider the Christian ideal of the Holy Spirit appearing as the wind, as a Counselor, as flames of fire, or a dove. How do Christians conceptualize the incarnate or risen Christ? Do angels appear to us disguised as humans? Did not Job hear God’s voice in the storm? How does Ojibwa dream travel differ from the dreams of the Biblical prophets? Our claim is that religious people, in every tradition and culture, relate with other-than-human persons, and that indigenous ontology is not terribly unlike that of many theists. Nurit Bird-David (1999) also contends that commitments to an objective/subjective paradigm have prohibited anthropologists and cultural psychologists from recognizing the capacity of humans to relate to these other-than-humans persons. Bird-David describes personhood and relational modes of thinking and acting among the Nayaka, a hunter-gather community in South India. Bird-David argues that, in relational cultures, knowing derives from attention to a different set of variables. Any change in the environment may be interpreted as an intentional action. In a particularly revealing example, Bird-David remarks that, for scientists, trees are things to be cut into parts or categorized with the intent of understanding how they process nutrients, for example. However, in hunter-gather societies like the Nayaka, trees speak as humans pay attention to their variances; there is a “reading” of nature, if you will. In this way, humans interact with their environment, as they perceive all things related and a part of the vicissitudes of life. Nayaka always invite broadly defined “persons” into their performances, conversations, and the relatedness of the environment. For the Nayaka, knowledge “grows from and is maintaining relatedness with neighboring others” (S78). In the social sciences, the categories of “person” and “human being” have been mostly used interchangeably. Consequently, notions of “social” relationships have been narrowly construed to include only human persons. However, the scientific concept of “person” is clearly far from cross-cultural. Human beings everywhere and at all times have had a tendency to broaden the category “person” to include trees, rocks, winds, stars, angels, demons, deities, and even myths. In many religious cultures, such “persons” are considered to be conscious, intentional, communicative beings who must be respected and who may be experienced and interacted with. The defining characteristics of personhood and how one ought to relate with other persons varies cross-culturally. It is not surprising, then, that the ethnographic record in anthropology describes an amazing array of religious practices and intersubjective encounters with other-than-human persons or non-“living” persons including, for example, communications with ancestors through talking crosses (Aguilera, 2000 ), respect for Bears who can read human minds (Scott, 2006), or divination through the embodiment of other persons. These relationships with other-than-human persons remain curious oddities to social scientists situated in the academy. However, what happens when worldviews collide? Recently, for example, the President of Gambia, Yahya Jammeh, announced that he had discovered the cure for AIDS after receiving a herbal formula from his “ancestors” in a dream (Koinange, 2007). Gambia’s Minister of Health, medical doctor Tamsim Mbowe, testifies to the curative power of the herbal concoction, but the U.N. envoy to Gambia has been deported after criticizing the treatment. Even “Western” scholars have reported encounters with non-human persons after becoming immersed in various cultures (Young & Goulet, 1994). Anthropologist Edith Turner (1994) tells of her experience in Zambia as an invited participant in a healing ritual among the Ndembu. Turner relates that the ihamba, a dead hunter’s tooth, is known to be a conscious being who can wander inside a sick person causing pain, and Ndembu doctors/religious specialists are called upon to rid the patient of the ihamba. In 1985, Turner was invited to join a group of doctors who had been asked to aid an old woman afflicted by an ihamba. Turner describes going about with the doctors, addressing specific trees with song and offerings in a search for the appropriate ritual substances. During the ritual itself, the Ihamba doctors made tiny exit slits in the woman’s back and commanded the old hunter (whose name, they perceived, was Kashinakaji) to come out of the woman. A young villager with schoolbooks passed by and snickered at the spectacle, while the doctors exhorted the woman and everyone in the gathering crowd to give up their grudges in words or, in Turner’s case, in tears. After a long session, Turner reports, “I saw with my own eyes a giant thing emerging out of the flesh of [the old woman’s] back. It was a large grey blob about six inches across, opaque and something between solid and smoke” (83). By the end of the ritual, the ihamba had been captured in a bag, transferred to a can, fed antelope meat, and subsequently re-took the form of a tooth. We cannot help but agree with Turner, as she asks in her essay’s conclusion, what is really going on here? How are scientists to make sense of these kinds of religious experiences? In what sort of reality do humans speak with trees, worry about the behavior of dead hunters, and offer food to a tooth? Just as importantly, we might ask, why do not all villagers participate in such rituals? Hallowell is correct in claiming that every culture provides a more or less unique cognitive orientation in the cosmos, defining who or what exists, basic principles of causality, concepts, categorizations, and appropriate relationships with other beings and objects. Although there are certain cognitive universals (see Norenzayan & Heine, 2005 for a review and methodology), the ways in which humans view the world are, in large part, socially constructed through interaction with the environment and with others (see above, Neisser, 1994). We argue that people universally seek out others with whom they can relate, but notions of who exists in the cosmos vary from person to person as well as cross-culturally. The construction of reality is also influenced and reinforced by our language and the conceptual images we paint with our words (Lakoff & Johnson, 2003). How we perceive our environment, the categories we create, and our relations with others are all shaped by our language. Buber has provided a particularly cogent example of the influence of language on our orientation in the cosmos that also highlights the difference between objective/subjective and intersubjective ways of knowing. In English, the word “far” connotes a distant place and we imagine things or persons that are “far” as being separated from our selves in space. The relational Zulu, however, does not have one word for “far” but says instead, “The place where someone cries, ‘mother I am lost.’” (70). The idea of defining the self in relation to others will not be new and, in fact, may seem obvious to scholars outside the “West.” It is, no doubt, the radical individualism of Western society that has prevented Euro-American scientists from richly understanding more collectivistic, religiously oriented, or ecologically grounded worldviews. Both our notions of who we can relate with and how we ought to relate are partly learned and, therefore, can vary greatly between individuals and across cultures. Renowned anthropologist, Stanley J. Tambiah (1990) suggests that individuals actually live in multiple realities, and that they cognitively adjust to one or another reality depending on the context they find themselves in. According to Tambiah (who references William James among others), the physical world with its necessary manipulations and daily chores of our waking hours comprises one reality. Nevertheless, we all regularly abandon that reality and step into other figured, imagined, or specially-focused worlds – the world of dreams, of creative art, of religion, or of science, for example, and sometimes “even the world of sheer madness” (101). Tambiah argues that each one of these “sub-universes” have their own meaning, their own cognitive styles, and their own social structure. On this view, both the scientific and the religious worldviews can be construed as socially constructed subsets of an ill-defined, but overarching, Reality. The scientific worldview is neither objectively self-evident nor is it derived from private, subjective experience. Instead, the critical thinking skills, statistical manipulations, supporting body of literature, and high standards for what constitutes knowledge for the scientist are not innate, intuitive, nor universal; they are learned. Similarly, the religious experiencer learns how to interpret and participate in relationships with persons that the scientist cannot and does not “see.” Tambiah argues that, just as the religious experiencer often must temporarily “bracket” his or her more mundane daily life in encounters with the “other,” the scientist temporarily “brackets” his religious, personal, or emotional concerns, steps back and takes a distanced view of the cosmos. Taking a relativist position, scientific knowledge becomes a subset of what can be known, rather than the adjudicator of Reality. Multiple views of reality afford multiple frames of reference for getting along in the world. According to Tambiah, there are two “complementary cognitive interests” for a successful life: one that acknowledges physical laws and one “that is determined by the necessity for social, morally relevant praxis” (105). Much like Buber and Neisser, Tambiah concludes that these two cognitive interests ground two orientations to the world: the one of ego-centric individualism and mechanical causality so familiar to science, and the one of socio-centric participation, in which places, persons, and myths are joined in social systems of interaction and shared responsibilities. Many of the humans consulted by anthropologists seem to live in two realities, the religious world populated by various and specific other-than-human persons, and the material world with medical doctors, paying jobs, and deceased relatives. We pray and then go the doctor. When asked whether all stones were alive and communicative, one informant replied, “No! But some are” (Hallowell, 1992: 147). Consider the case of the rice farmer in Trinidad (Klass, 1995: 28-30). Before the harvest, he sprinkles the blood of a cockerel and places an offering of flowers, biscuits and a cigarette in the corner of the field for the original owner of the field who is long since deceased. The ancestral owner, or di, must be respected and paid his due to insure continued good crops. After the harvest, the farmer allocates a portion of the rice for the current owner of the land. The absentee landlord must be paid or the farmer will forfeit his use of the land. The farmer has never met the di or the landlord, but both persons must be paid for the harvest. The reality is that the man has used the land to plant and harvest rice and that others may feel entitled to compensation for the use of the land. For the scientist, there is but one “real” world and only one debt for the rice farmer to pay. For the farmer, there are two realities, two debts, two persons who must be respected and paid tribute. For many religious people the unity of knowledge requires knowing how to get along in both worlds. In the past, religious experience has often been misinterpreted as being motivated by a desire for intense emotions. The Pentecostal revivals of the Great Awakening, the frenzied behavior of cargo cults, the prophetic possession of devotees, the singing and dancing performed by ritual participants, or the sensory pageantry of a Hindu festival, for example, have each been interpreted as being grounded in the desire for emotional expression. We contend that the emotions associated with religiosity are merely the consequence and not the motivation for religious experience. We propose that people all over the world, in nearly every culture, want to know with whom they must relate in order to find their way in life. God, angels, goddesses, ancestors, sentient trees, or malevolent beings all become candidates for interpersonal relations, endorsed by the cultures within which humans live. These intersubjective encounters are characterized by the same unpredictability inherent in any social interaction, and are able to elicit emotional responses similar to those experienced in inter-human relations. Clearly, human beings are able to relate with, and feel an affinity towards, a variety of other-than-human, or other-than-“living,” persons. As interest in the cognitive processes that subserve religion has increased, several dimensions of religious cognition have been explicated. There are various neural systems that apparently underlie the different aspects of religion such as Theory of Mind and the innate tendency of humans to locate agency in their environment (Boyer, 2001). Some have focused on the different cognitive memorial processes through which religion is transmitted (Whitehouse, 2004). There has also been a new focus on the cognitive properties ascribed tosupernatural agents. One important theoretical contribution, elaborated by several lines of work, has focused on people’s ideas about the beliefs, intentions, agency, and omniscience of non-human agents (Barrett & Keil, 1996; Barrett, Richert, & Driesenga, 2001). For example, certain groups promote a view of an omniscient God, and others posit spirits that are immaterial but nevertheless possess many of the same cognitive properties as humans, such as thoughts, desires, and intentions (which may also include the ability of such agents to be deceived). Of interest, whereas Western children explicitly claim that God is omniscient and knows things that even Mother does not know (Barrett, et al., 2001), Westerners also have difficulty implicitly believing in God’s omniscience or omnipresence (Barrett & Keil, 1996). In other words, people will report that God is omnipresent, omniscient, and omnipotent. And when they are told a story about God simultaneously hearing and answering prayers from two different people in two different places, they will explicitly report that this is within God’s capabilities. However, when later asked to recount the story, they are likely to report that God helped one person and then the other, suggesting that they did not implicitly represent the story as told. 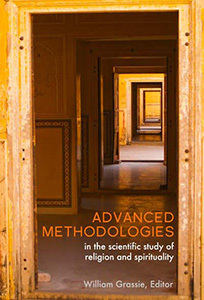 Such findings illustrate both the need for multiple methods in the study of religion (A. B. Cohen, Hill, Shariff, & Rozin, in press), as well as a re-conceptualization of religion that adds to prior discussions about religious cognition. In conclusion, we agree that powerful emotions often accompany religious experience. However, our claim is that religious people are seeking interpersonal, intersubjective relations with a variety of “others” whom they consider to be important persons with thoughts, feelings, and intentions of their own. In the interpretive paradigm of religiosity as relationality, the Charismatic or Pentecostal Christian cries for a vision, and longs for the perceived presence and/or imminent return of Jesus Christ. The ritual dancer or possessed devotee is ecstatic in the expectation of embodying another. The Mali Baining (Whitehouse, 2004) is not motivated by highly emotional memories of “rites of terror” as much as by a real anticipation that the ancestors are returning. The ringing of bells, the pouring of milk, the burning of oil, and the crushing of crowds are all for the joy of capturing the powerful gaze of the divine (Eck, 1998). We have argued that religious experience and its consequent way of knowing cannot be fully understood when categorized as an entirely private and subjective phenomenon. Furthermore, religious encounters such as those experienced by St. Theresa of Avila, Tommy Tenney, or Edith Turner cannot be adequately measured or evaluated within the materialistic, mechanistic worldview of science. Although religious experience can be primarily about dogmatic beliefs, powerful emotions, or feelings of unity with the greater cosmos, religiosity is more commonly concerned with reciprocal, social relationships between humans and/or between humans and other-than-human, cosmically important persons. We believe that studying religion as relational will allow scientists to more accurately describe not only the self-reported experiences of theists but will also correct ethnographic interpretations of the experiences of animists. People all over the world seek to know with whom they must interact in a life well lived; but the persons they recognize as important are culturally determined. We suggest that new lines of research are needed to understand the importance of relationality for religious experiencers. The Metanexus Institute’s 2007 Conference themes indicate that there is an emerging paradigm of thinking about the cosmos in terms of complexity and interrelatedness. We believe that both religious experience and our proposal for the scientific study of religion as relational fall within that framework. However, the vision of interrelatedness and the unity of knowledge can only be realized through transdisciplinary conversation, followed by real research. This paper represents a dialogue between psychologists, psychoanalysts, social scientists, and religious studies scholars. Our consensus is that religion, in some forms, and religious encounters specifically, are not about beliefs but about relationships. What is needed is another level of objective study to account for religious experience as a relational way of knowing. A fundamental assumption is that religious relationships are mediated by perceptions or concepts of the “other,” in addition to culturally constructed notions about what constitutes a relationship. Concepts of God, gods, goddesses, spirits, etc. vary greatly both within and between individuals and religious cultures. As social scientists, we want to begin by asking with whom religious people are relating. How can we operationalize the concept of deity or personhood in a way that accurately reflects its variety and allows subjects to tell us honestly about their relationships with others who are not human? What sorts of attributes or actions are necessary and/or sufficient to constitute “personhood”? What are the available social intuitions that are brought to bear in these relationships? Finally, what kinds of communities are formed, being grounded in these variant ontologies? In the final section of the paper, we ask a host of questions relevant to the study of religion as relationality and we suggest ways in which religious relationships can and should be addressed in various academic fields of expertise. Anthropology. In non-theistic, indigenous cultures (e.g., Bird-David’s Nayakan or Hallowell’s Ojibwa), many or all forms of being constitute the ontological category person. Causality is seen as intentional and not mechanical, language is generative and not symbolic, and ethics promote interpersonal relationships rather than self-interests. Anthropologists with intellectual commitments to hierarchical theism, Cartesian dualism, and individualism have often misrepresented alternative cosmologies by using terms relevant to theistic cosmologies (e.g., supernatural, spirits, God) but not descriptive of animistic ways of thinking (Morrison, 2000). Interpreting religious cultures in a relational framework is not only more accurate, but also more respectful of the lives and cosmologies of indigenous peoples. Social Psychology. Cultural differences in how the self relates to other people, usually distinguishing between collectivist/interdependent versus individualist/ independent ways, have been a major focus of social psychological research (Markus & Kitayama, 1991; Triandis, 1995). Nevertheless, this insight has only recently been applied to religious groups (A. B. Cohen, Hall, Koenig, & Meador 2005; A. B. Cohen & Hill, in press). We propose that relationality is an important component of all religious worldviews, and that members of different religions differ in their types of relationality. Psychologists of religion have long considered personal, emotion-based motivations for religion to be most intrinsic, sincere, and valuable, and have considered socially based religious motivations to be extrinsic and hollow (Allport & Ross, 1967). This view is most common in certain American Protestant groups that prize personal relationship with God. Other religious groups, such as Catholics, Jews and others, promote relation with the religious community, and it is the community as well as the individual that is seen as being in relationship with God (A. B. Cohen et al., 2005; A. B. Cohen & Hill, in press). Other types of religious relationality, such as with nature, have not been explored in social psychology at all. Clinical Practice. For psychologists in clinical treatment settings, a major concern is the development of a theory of psychologically healthy religious functioning. Too often, however, therapists overlook the patients’ spiritual experiences (M. Cohen, 2003). First, therapists often allow the patients’ self-identification of “spirituality” to remain vague and ill-defined. Although “organized religion” has come to have a particularly negative connotation for some people, religious communities may provide an opportunity for developing interpersonal relationships with “spiritual” persons. Second, for therapists, we suggest that there is some degree of responsibility to cogently address those relationships in the lives of patients. This means that therapists ought to understand what kinds of relationships patients form with other-than-human persons (to borrow Hallowell’s term again). Within object relations theory, religious relationships are recognized as having a separate line of development (Rizzuto, 1981). Although the “god representation” (an internalized object relation with divinity) may be partly grounded in a person’s childhood experiences with parents, it may also be characterized by a mature love relationship. David Black (1993) has suggested that religious rituals pass on the knowledge of this relationship, helping to structure not only the community’s but also the individual’s internalized representations of this relationship. Moshe Spero (1992) has suggested that the presence of an internalized god representation reflects the fact that human beings are created with the capacity to relate to an objectively existent divinity. We have argued that religiosity is not necessarily a matter of belief about something but, rather, internalized representations of relationships with divinity, religious communities, or with other beings. What have not been adequately researched are the factors that lead to changes in these relationships. For example, does religious conversion involve a maturing of these relationships or a shift in conceptualization? Does spiritual training (e.g., meditation training, use of religious retreats, or participation in prayer groups) lead to changes in one’s relationship with God? What are the differences between patients who endorse the reality of God and subjects who endorse the reality of other “mythological” concepts (e.g., fairies, leprechauns, UFO’s)? Do non-religious people conceptualize deity in the same way that religious people do? Are there cognitive or social constraints on what kinds of beings religious people are able to relate with? Are there universal constraints? These are just a few of the research questions with particular relevance to mental health in Western societies. Evolutionary psychologists. Evolutionary psychologists presuppose that social intuitions developed as a survival skill. In a better-safe-than-sorry strategy, early hunter-gatherers are supposed to have developed an ultra-conservative, instinctual fear of all “others” in order to survive. Within the subjective/objective, dualistic worldview, Western social scientists have imagined selfish, individualistic humans who were motivated by mate selection, mate guarding and self-protection in a chaotic world. However, current hunter-gather communities evidence relational epistemologies in which the world is ordered by reciprocity and a sense of “being in relation” with one’s neighbors and environs. Understanding relational ways of knowing suggests that humankind’s cognitive skills and religious inclinations may have evolved with a bias toward social relatedness rather than survival (e.g., Wilson, 1978). A deeper understanding of relational ways of thinking may necessitate a reexamination of the basic assumptions of evolutionary history (see also Guthrie, 1993). There are several perspectives within evolutionary psychology as to the correct level of analysis for the unit of selection. Darwin (1859) hypothesized group selection as a potential account for altruism, though explanations relying on inclusive fitness (Hamilton, 1964) and reciprocal altruism (Trivers, 1971) later explained much of the puzzle of altruistic behavior. Consequently, Dawkins (1972) has persuasively argued that the individual gene is the best candidate for the unit of selection. Despite how influential the individual gene based view of selection has been, the problem is not completely solved. Looking at the evolution of religion, David Sloan Wilson (2002) has outlined a compelling case for a group selection based view of religion. In any case, it is not controversial that religion would be adaptive under a wide range of assumptions if religion were to increase coordination among group members (Wilson, 1978). Under many kinds of views of evolution and religion, then, different types of relationality can play central roles in analyses of the evolution of religion. Theology. If concepts of God determine religiosity, then religious leaders ought to be deeply concerned with how the members of their churches, mosques, and temples mentally represent God (and, consequently, the cosmos). We suspect that the way congregants relate to an impersonal or distant God will be quite different than the way they worship or pray to a God who is conceptualized as being very near and personal. Does God have feelings and thoughts toward humans? Is God more accurately represented in the sermon, “Sinners in the Hands of an Angry God” (Edwards, 1741/1992) or the Sermon on the Mount (Matthew 5:1-12)? Are the relations with malevolent deities different from benevolent deities? Is a community that authorizes “spiritual warfare” with demons or with Satan qualitatively different from one that emphasizes a parental and loving God? How do various concepts of God, gods, goddesses, angels, demons, or spirits promote or impede various forms of religious encounter? What is the God-concept of the a-theist? Religiosity can be understood as a social relationship with powerful beings, a relationship that often invokes the same emotional responses of love, fear, anger, disappointment, longing, joy, or sorrow that humans typically feel in inter-human relations. Should religious communities and their leaders be held accountable for the various god-concepts that they promote or discourage? To whom should religious leaders be accountable? How should prophecy, possession, channeling, or divine revelations be addressed? Recently, arguments for process theism, a Theology of Nature, or pan-en-theism have garnered optimistic support (e.g., Clayton and Peacocke, 2004). Generally, panentheists conceptualize two aspects of God: a transcendent personal God who is also the impersonal Ultimate, immanent in the cosmos. Simply worded, process theologians imagine that God is both above all and in all things. Various religious communities have emphasized one or the other aspect of ultimate reality from time to time (e.g., Griffin refers us to the impersonal Nirguna Brahman and personal Saguna Brahman of Hinduism [2001, 272-284]). We might ask, then, which sort of relationship is recommended with the God of panentheism? How might rituals be made meaningful or prayer be interpreted, given a panentheistic view of God? For some people there is the Unknown, Ultimate Reality, the divine spark within all people, God as an impersonal force, or, as one informant put it, “something out there.” One or more of these concepts of the divine adequately describe what must be known according to many humans. But, for others, Jesus Christ, Santoshi Ma, Thunder Bird, the Master of the Animals, Beelzebub, the Virgin Mother Mary, Krishna, or ‘my grandfather who appears as an owl who sits on my window sill’ must also be recognized, respected, appeased, interacted with, loved, hated, feared, fed, consulted, or known in order to live life to the fullest. People everywhere long for knowledge. We believe Anglican novelist and theologian of mysticism, Evelyn Underhill, has described the desires of both the scientist and the religious experiencer, “The desire of knowledge is a part of the desire of perfect love: since one aspect of that all inclusive passion is clearly a longing to know, in the deepest, fullest, closest sense, the thing adored” (1990, 46).The desire to know the depths of reality, to understand how the cosmos works, has certainly driven the scientific quest for knowledge. 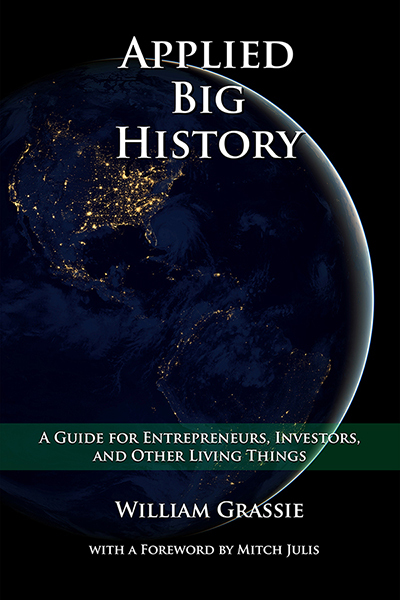 Greater understanding of the laws of physics, the biological complexities of living beings, and the processes of cognition have yielded a dazzling array of inventions and discoveries to improve the well-being of humankind. This “I-It” kind of knowledge affords an ecological view of the self in the world and focuses its passions on understanding causality in an objective cosmos. However, for many religious people, the cosmos is intersubjective, and what matters is not what one knows but, rather, whom one knows. The world of many religious people is one of “I-Thou” relations, in which the self is perceived as related to others in a socio-centric system of participation and reciprocity. Those “others” include a variety of culturally endorsed persons who are other-than-human. We conclude that the need to answer to, negotiate with, or defend the honor and purposes of these other-than-human beings has primary importance in the lives of many human beings. Thus, understanding religiosity as an intersubjective phenomenon not only has academic merit, but is also relevant to personal health and well-being, ethical concerns, and improving interpersonal relations. We suggest that a quest for the “unity of knowledge” must necessarily take into account the breadth of social relations available religiously and cross-culturally, and ought to include intersubjective relationality as another way of knowing. We have argued that the dualistic framework of objectivity and subjectivity as the respective domains of science and religiosity has been an obstacle in understanding religious experience. By bringing together works from psychology, philosophy, and anthropology, we believe we have found a “richer vein in a quest for synthesis” (Metanexus Call for Papers, 2007). Religiosity is not merely about propositional knowledge, nor is it characterized simply by private beliefs or feelings. Religiosity is also, and sometimes only, about relational knowledge, the art and practice of interpersonal relations between humans, and between humans and cosmically important other-than-human beings. Researching religious ways of knowing as relational affords a more accurate account of many forms of religiosity and, we believe, both advances the scientific study of religion and maintains respect toward all religious participants. Aguilera, Miguel Astor. “Survey of the Talking Cross Shrines in Yucatan and Quintana Roo.” Foundation for the Advancement of Mesoamerican Studies, Inc. March 16, 2007. http://www.famsi.org/reports/99034/. Alston, William P. Perceiving God: The Epistemology of Religious Experience. Ithaca: Cornell UP, 1991. Barbour, Ian. 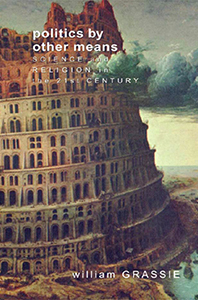 Religion and Science: Historical and Contemporary Issues. Rev. ed. New York: SCM Press LTD, 1998. Barrett, Justin L., Rebekah A. Richert, and Amanda Driesenga. “God’s Beliefs versus Mother’s: The Development of Nonhuman Agent Concepts.” Child Development, Volume 72, Number 1,January/February 2001. 50-65. Barrett Justin L. and Frank C. Keil. “Conceptualizing a Nonnatural Entity: Anthropomorphism in God Concepts.” Cognitive Psychology 31,1996. 219-247. Baumeister, R. F. and Mark R. Leary. “The Need to Belong: Desire for Interpersonal Attachments as a Fundamental Human Motivation.” Psychological Bulletin, Vol. 117, No. 3, 1995. 497-529. Bird-David, Nurit. “’Animism Revisited:’ Personhood, Environment and Relational Epistemology.” Current Anthropology, Vol 40, Supplement, February, 1999. S67-S91. Black, David M. “What Sort of a Thing is a Religion? a View from Object_Relations Theory.” International Journal of Psycho Analysis, 74, 1993. 613-625. Buber, Martin. I and Thou. Trans. Ronald Gregor Smith. New York: Scribner Classics, 2000. Clayton, Philip and Arthur Peacocke, Eds. In Whom We Live and Move and Have Our Being: Panentheistic Reflections On God’s Presence in a Scientific World. Grand Rapids: Wm. B. Eerdmans Pub. Co., 2004. Cohen, Adam B., Daniel E. Hall, Harold G. Koenig, and Keith Meador. “Social versus individual motivation: Implications for normative definitions of religious orientation.” Personality & Social Psychology Review, 9, 2005. 48-61. Cohen, Adam B. and Peter C. Hill,. “Religion as culture: Religious individualism and collectivism among American Catholics, Jews, and Protestants.” Journal of Personality, in press. Cohen, Adam B. and Peter C. Hill. “Religion as culture: Religious individualism and collectivism among American Catholics, Jews, and Protestants.” Journal of Personality, in press. Cohen, A. B., Hill, P. C., Shariff, A. F., & Rozin, P. “Furthering the evolution of discussion on religion: Multi-method study, universality, and cultural variation.” J. Bulbulia, R. Sosis, C. Genet, R. Genet, E. Harris, & K. Wyman, Eds., The Evolution of Religion: Studies, Theories, and Critiques. San Francisco: Collins Foundation Press, in press. Cohen, Mariam. “The Affirmation of Religious (Not Merely Spiritual!) Orientation in Clinical Treatment.” The American Academy of Psychoanalysis and Dynamic Psychiatry, 31(2), 2003. 269-273. 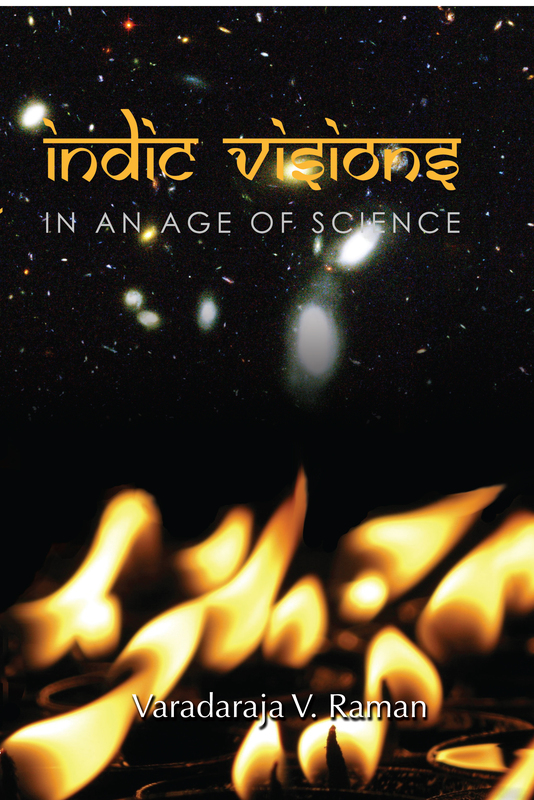 Eck, Diana L. Darsan: Seeing the Divine Image in India, 3rd Edition. New York: Columbia UP, 1998. Edwards, Jonathan. Sinners in the Hands of an Angry God. Phillipsburg: P&R Publishing, 1992. Freud, Sigmund. The Future of an Illusion. Trans. & Ed. James Strachey. New York: W.W. Norton & Co., 1961. Griffin, David Ray. Reenchantment without Supernaturalism: A Process Philosophy of Religion. Ithaca: Cornell UP, 2001. Guthrie, Stewart. Faces in the Clouds: A New Theory of Religion. Oxford: Oxford UP, 1993. Hallowell, A. Irving. “Ojibwa Ontology, Behavior, and World view.” Teachings from the American Earth: Indian Religion and Philosophy, Dennis Tedlock and Barbara Tedlock, Eds. 1975. New York: Liveright, 1992. 141-178. Heschel, Abraham Joshua. Man Is Not Alone: A Philosophy of Religion. New York: Farrar, Straus, and Giroux, 1951. Hill, Peter C. “Giving Religion Away: What the Study of Religion Offers Psychology.” The International Journal for the Psychology of Religion, 9(4), 1999. 229-249. James, William. The Varieties of Religious Experience: A Study in Human Nature. New York: The Modern Library, 2002. Koinange, Jeff. “In Gambia, AIDS cure or false hope?” CNN.com. March 17, 2007. http://www.cnn.com/2007/WORLD/africa/03/15/koinange.africa/index.html. Morrison, Kenneth M. “The Cosmos as Intersubjective: Native American Other-than-Human Persons.” In Indigenous Religions: A Companion. Ed. Graham Harvey. London: Cassell Academic, 2000. 23-36. Murphy, Nancey. “Theology and Scientific Methodology.” Philosophy of Religion: Selected Readings, Third Edition. Eds. Michael Peterson, William Hasker, Bruce Reichenbach and David Basinger. New York: Oxford UP, 2007. 563-580. Neisser, Ulric, Ed. The Perceived Self: Ecological and interpersonal sources of self-knowledge. Cambridge: Cambridge UP, 1993. Neisser, Ulric. “Self-perception and Self-knowledge.” Psyke & Logos, 15, 1994. 392-407. Rizzuto, Ana-Marie. The Birth of the Living God: A Psychoanalytic Study. Chicago: U of Chicago Press, 1981. Scott, Colin. “Spirit and Practical Knowledge in the Person of the Bear among Wemindji Cree Hunters.” Ethnos, Vol. 71:1, March 2006. 51-66. Smart, Ninian. Worldviews: Crosscultural Explorations of Human Beliefs, Third Edition. Upper Saddle River: Prentice Hall, 2000. Spero, Moshe Halevi. Religious Objects as Psychological Structures: A Critical Integration of Object Relations Theory, Psychotherapy, and Judaism. Chicago: U of Chicago Press, 1992. Tambiah, Stanley J. “Multiple orderings of reality: the debate initiated by Lévy-Bruhl.” Magic, science, religion, and the scope of rationality. Cambridge: Cambridge UP, 1990. 84-110. Tenney, Tommy. The God Chasers: My Soul Follows Hard After Thee. Shippensburg, PA: Destiny Image, 1998. Turner, Edith. “A Visible Spirit Form in Zambia.” Being Changed by Cross-Cultural Encounter: The Anthropology of Extraordinary Experience, Eds. David E. Young & Jean-Guy Goulet. Ontario: Broadview Press, 1994. 71-95. Underhill, Evelyn. Mysticism: The Preeminent Study in the Nature and Development of Spiritual Consciousness. New York: Image Books, 1990. 46. Whitehouse, Harvey. Modes of Religiosity: A Cognitive Theory of Religious Transmission. Walnut Creek: Altamira Press, 2004. Wilson, E. O. On human nature. Harvard University Press, 1978. Young David E. and Jean-Guy Goulet, Eds. Being Changed by Cross-Cultural Encounter: The Anthropology of Extraordinary Experience. Ontario: Broadview Press, 1994.